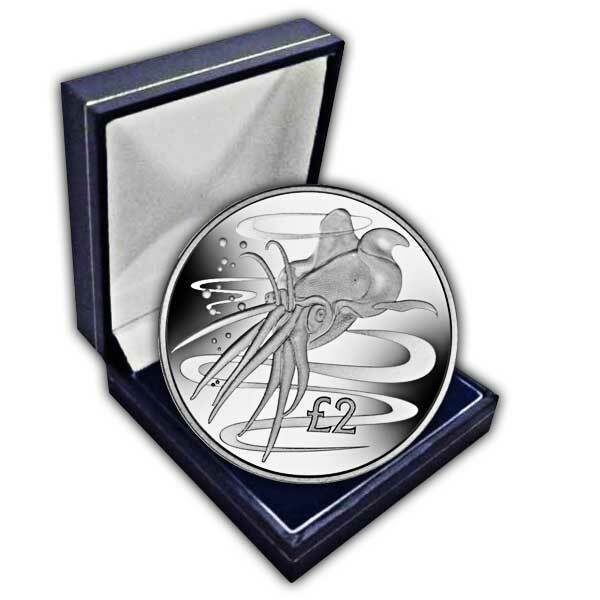 The Colossal Squid has long been a sailor's nightmare, appearing in folklore throughout the ages it has typically been synonymous with the Kraken. A mighty monster well-known for dragging men to their doom and emitting a foul stink from its lungs with each breath. In truth, the Colossal Squid is not as 'foul' as the reputationthat precedes it, but there is some fact to the legends. A feud exists between the Colossal Squid and the Sperm Whale who battle on a immense scale in the deep blue. Sperm whales are found covered in scars on their backs from the beaks of this squid and the beaks are found in big amounts inside the whale's stomachs. These squids are exceptionally elusive and little known to science. They can reach an estimated 14m in length and weigh approximately 750kg but just a handful of juveniles have ever been officially recorded. A 5 meter specimen was caught on a long line off the coast of South Georgia at a depth of 1625 meters and it was so heavy that it couldn't be brought aboard. They also have the largest documented eye in the animal kingdom (which was from a young female) with a size of over 12 inches! 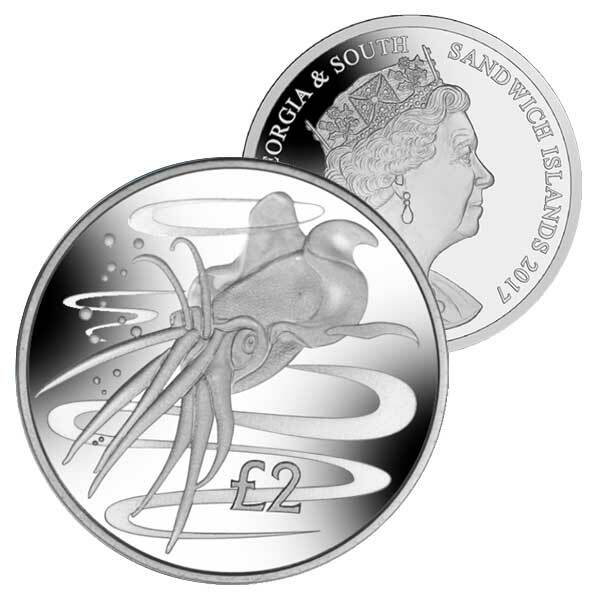 The design on this coin reveals an enormous squid swimming in the sea surrounded by an eddy of water. Part of the squid's mantle appears above the water line. 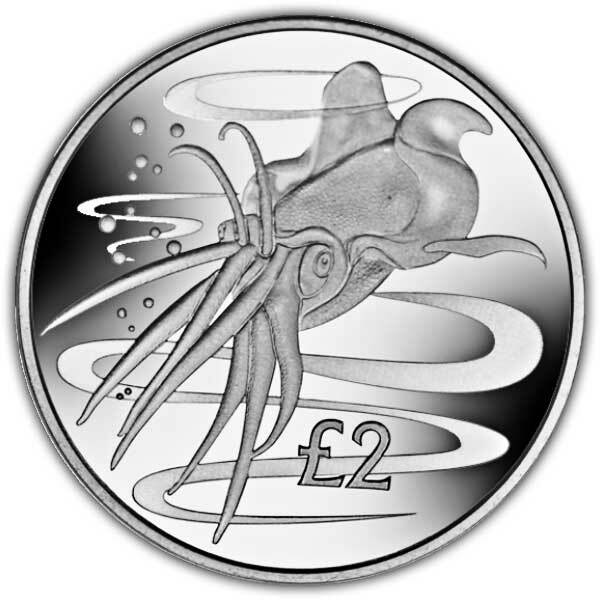 The obverse of the coin features an effigy of Her Majesty Queen Elizabeth II by Pobjoy Mint.